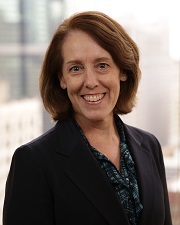 Cheryl began her career as a corporate finance attorney at Chapman and Cutler in Chicago. After moving to a small Chicago law firm, Cheryl began representing a variety of small and mid-sized business clients on a wide range of general corporate, transactional and contract matters. In 1994, Cheryl founded the partnership of Hupert, Richards & Wood in Chicago. At Hupert, Richards & Wood, Cheryl was responsible for the firm’s business and commercial leasing practices. Cheryl left her former partnership to work as a teacher at a public charter school in Chicago. She returned to the practice of law in 2008 and joined LeydigLaw in 2018. Cheryl represents a variety of business clients on general business, contract, commercial leasing, financing and general transactional matters.